Electric vehicles are the way of the future, but we won't get there overnight. We've already begun moving in the right direction, but there are a number of steps between the vehicles we have now and full electric vehicles. This section describes the process of going from highly polluting vehicles we have now to vehicles that will produce no new emissions on a cross country trip, reducing emissions and saving money at the same time. 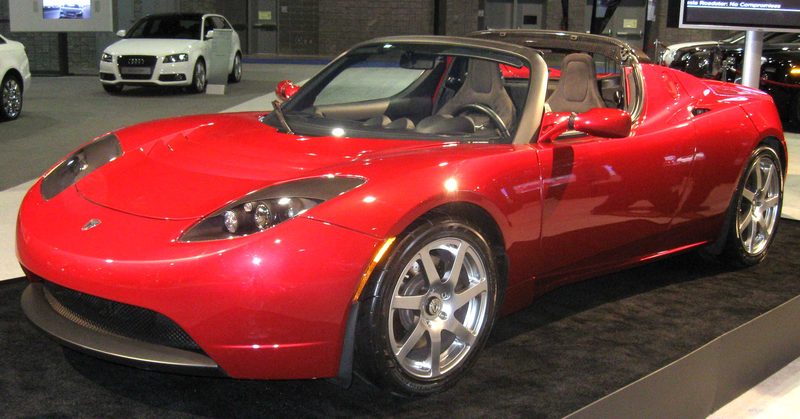 The ultimate future of the personal vehicle is the electric vehicle (EV). These are vehicles that are powered by an electric motor that draws its energy from batteries on board the vehicle. These batteries are either charged by being plugged into the equivalent of a wall socket or by being swapped out for fully charged batteries. The current problem with EVs is that they require very good battery technology and either fast charging or battery swaps for long drives. Technology is progressing in the battery department (check out Better Batteries for more), but infrastructure for recharging is a bit limited at the moment. Among the advantages, however, are a much simpler vehicle with many fewer parts to breakdown with use , reducing the lifetime cost of owning one of these vehicles. They also, of course, produce no emissions except from the production of the electricity they consume. The next best thing after a fully electric vehicle is a plug-in hybrid vehicle (PHEV). These are vehicles that are also usually powered by electric vehicles drawing power from battery packs. They can also be plugged into the wall, but after that energy is used, an onboard gasoline engine can run a generator that recharges the batteries. This means that the vehicles do consume some gasoline if driven on long trips or not recharged often enough, but when they do use gasoline, they are using it very efficiently. This is because the gasoline engine can be run at the speed that gives it peak efficiency because it is not directly connected to the drive train. This is a system called a series hybrid. These vehicles balance the benefits of electric-only driving on short trips with ability to take long trips without needing to stop to recharge or change batteries. This makes them what are likely to be the near future of smart, efficient vehicles until charging infrastructure becomes more prevalent (check out Charging Stations for more on this). PHEVs can also be relatively inexpensive in the long run, while often costing more than conventional vehicles at purchase, the Electric Power Research Institute (EPRI) has shown that the total lifetime cost of an PHEV is lower than that of a non-hybrid and not merely lower than that of a conventional hybrid, even at current prices . Standard hybrids are what are on the market right now. These are vehicles that use an electric engine to increase the efficiency of the gasoline engine . They do not receive energy from anything besides gasoline, but they use it much better. This makes them the least desirable of the electric vehicles, because they are the heaviest polluters, using only gasoline. They are able to use smaller gasoline engines, because they don't have to design for peak load, which accounts for ~1% of usage . The electric engine is able to boost the power of the smaller gasoline engine. In most of these vehicles, both the electric and the gasoline engines are connected to the drive train, unlike in plug-in hybrids. These hybrids charge their batteries through a process called regenerative braking. This is where the energy usually turned into heat by the brakes is instead captured by the electric motor to powers a battery pack. Basically, the motor runs backwards , slowing down the car and producing electricity to go to the batteries. Hybrids also often save energy by shutting off the gasoline engine when the vehicle is stopped. This makes them much more efficient at city driving. Not everyone can afford a hybrid right now, but no matter what vehicle you drive, hybrid, electric, or gasoline, you should be trying to Drive Less and should be driving efficiently. To learn more about alternatives to driving, check out the Drive Less section and for information on efficient driving styles, check out the My Part section. Great little intro on hybrids from treehugger, although it is a little outdated. Editorial with the founder of CalCars on the feasability of the introduction of PHEV vehicles. How Stuff Works article on the basics of regenerative braking technology.